2017 Reserve Canadian National Champion HA Futurity Filly, Top Ten US HA Futurity Filly. This beautiful flashy filly is going to make a great performance horse. Just getting started but her willing attitude will make her a great youth or amateur horse as well. 2018 Region 8 Reserve Champion PB Western Open, Reserve Champion PB Performance Halter Geldings, Top Five PB Ladies Sidesaddle Open. Wins in Western JTR, ATR, Select and Hunter as well. 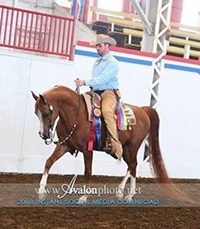 This beautiful gelding is already a winner in the halter ring and will make an excellent Futurity prospect. Enrolled in SSS, Fall Fest, and Gold Star, he will be in the prize money for years to come. Beautiful mare with a lot of substance and height. Flashy mover and a winner in halter as well. Great Futurity prospect. US and Canadian Futurity nominated. 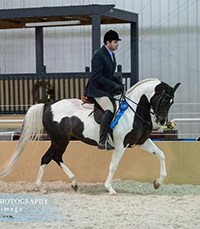 This beautiful Khadraj NA granddaughter is just getting started, but will be a stand out in the show ring. Will make an excellent Maturity prospect for next year. Great broodmare prospect later on. 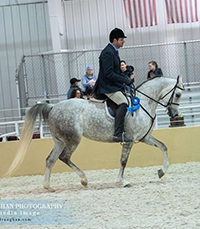 Flashy Hunter gelding. Qualified for Region 11 in HA Hunter Open. Gold Star Futurity Halter winner as well. Amateur or Youth ready.